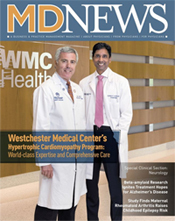 MDNews - WMC's Hypertrophic Cardiomyopathy Program: World-class Expertise and Comprehensive Care. 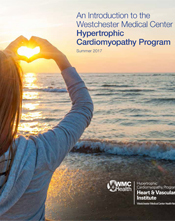 Welcome to the Hypertrophic Cardiomyopathy (HCM) Program at Westchester Medical Center, the flagship of the WMCHealth Network. Our program is a fully comprehensive, patient-centered experience, and the only one based in Westchester County with a full service satellite office in Long Island. Under the leadership of Srihari S. Naidu, MD, our program is devoted to treating patients and families from the tri-state area and beyond, offering expert, specialized services that address all facets of the disease. The two primary tenets of our program are its one-stop-shop approach to patient care, without the need to refer patients elsewhere for any service, and its goal of providing patients and referring physicians with 24/7 access through two dedicated HCM coordinators, a team of expert HCM physicians, and dedicated HCM email addresses and phone numbers. 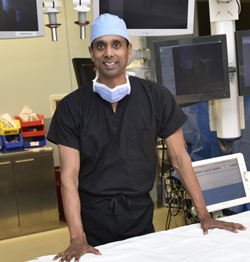 Dr. Naidu initially established the program in 2004 around his reputation for performing the minimally invasive alcohol septal ablation (ASA), an alternative to surgical myectomy in patients with obstruction to left ventricular outflow. The program is now known for serving a large volume of patients from throughout the United States, with patients also traveling from other countries, and for its ability to perform all services from genetics to pediatrics, alcohol septal ablation to surgery, echocardiography to cardiac MRI, and electrophysiology testing to heart transplantation by physicians expert in and dedicated to the care of patients with HCM. Dr. Naidu is an internationally-known expert in the treatment of HCM, and is involved in national clinical trials of new drugs, publishes the international textbook Hypertrophic Cardiomyopathy, and co-runs the live alcohol septal ablation proctoring course annually in Detroit. 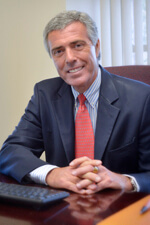 As a co-author on the 2011 American Heart Association Guidelines on the Diagnosis and Management of HCM, he writes and lectures extensively to contribute knowledge to the medical community, and runs annual patient and physician oriented conferences to educate those living with or treating this disease. The WMC HCM Program is one of a handful nationally with all the necessary diagnostic and therapeutic options available for both adults and children, all under one roof. Coordinated by regularly-scheduled HCM Program meetings, the following services comprise a team of experts that help comprehensively manage each individual patient and family. Call or Text: 914-598-7651. We look forward to working with you. Hypertrophic cardiomyopathy (HCM) is an inherited disease that may appear without an obvious family history, making the diagnosis often difficult – patients may have lived with the disease for years and decades prior to a diagnosis being made. Although previously thought of as rare, we now know it affects 1 in 500 individuals across all age groups, both genders and every race, and is transmitted to half of all family members. As such, one half of all offspring of a known HCM patient will inherit the gene, although when and how the disease presents is highly variable, even within a single family. Characterized by myocardial disarray that creates physical and electrical abnormalities in the heart muscle, HCM involves excessive thickening of the inter-ventricular septum or other areas, increased left ventricular stiffness, as well as left ventricular outflow tract obstruction and mitral valve regurgitation in the majority of symptomatic patients. Most threatening, however, is the risk of sudden cardiac death, making proper diagnosis and treatment important in patients and affected family members. In general, younger patients are predominantly at risk of sudden death, while older patients typically suffer from progressive heart failure symptoms, which impact both quality and quantity of life. The clinical spectrum of disease presentation is diverse, ranging from asymptomatic individuals to those with disabling symptoms of heart failure, exercise intolerance, shortness of breath, chest pain and lightheadedness or syncope. HCM is also the most common cause of sudden cardiac death in individuals under 30 who appear otherwise healthy, especially athletes. A conclusive diagnosis, which may include genetic testing and advanced imaging, is vital to the prognosis and determination of treatment options. Because of the difficulties in diagnosis, which often requires advanced imaging and invasive testing in some, and the variety of complex management options, the American Heart Association recommends that all patients and families with this disease be seen at dedicated HCM centers, with the full complement of services needed to optimally treat these patients. While diagnosis traditionally involves an echocardiogram, the subtleties of the disease manifestations may be difficult to discern, requiring comprehensive focused echocardiographic evaluations using multiple views. When echocardiogram is inconclusive or suspicious for severe thickening or apical variant, cardiac MRI may be required. Other diagnostic testing may include periodic Holter monitoring and stress testing, as well as transesophageal echocardiography and internal loop recorders in some. Although there is no cure, most symptomatic patients can be managed with appropriate education and lifestyle modification; medical therapy, including beta-blockers, calcium antagonists, anti-arrhythmic drugs and anticoagulants; pacemaker therapy; and the implantation of an internal cardioverter defibrillator to prevent sudden cardiac death. Diet, nutrition and psychiatric services are oftentimes needed to help manage the disease’s effects on other aspects of physical and mental health. Children with HCM require dedicated pediatric services, including advanced imaging, electrophysiology devices and surgery in some. When symptoms persist despite the above measures, surgical myectomy or catheter-based alcohol septal ablation is used to reduce the size of the thickened septum and enlarge the ventricular outflow tract, eliminating obstruction and mitral regurgitation while improving diastolic function. And for the rare patient who is not a candidate for these advanced therapies, or whose symptoms persist or progress despite all other options, heart transplantation may remain the only viable solution. Most important, HCM is a family disease, and it is not enough to simply treat the patients. All blood relatives must be evaluated by genetic testing or echocardiogram – the latter at routine intervals, regardless of initial results – and all children should be evaluated by pediatric cardiologists specializing in the disease. Education and longitudinal care, where strong doctor-patient relationships are formed, help families understand and cope with the disease. Initial office consultations, as well as follow-up evaluations, are performed at both the Westchester and Long Island offices, and patients are all seen within 1-2 weeks of initially contacting the program whenever possible. According to Srihari S. Naidu, MD, Director of the HCM Program, office consultations serve to educate the patient and family on HCM in general, and then hone in on the way HCM is affecting each individual patient – indeed, HCM is different in each person, and understanding the unique aspects of a patient’s disease is key to choosing therapies that work. This will involve echocardiography in all patients, usually on the same day as the initial visit, as well as cardiac MRI in most patients. Once the disease is better understood, lifestyle modifications, diet, exercise, and medications are utilized and discussed to manage the disease and the patient’s symptoms. Other testing, such as Holter monitors, stress tests and both external and internal loop records, may be needed to help understand symptoms or to further stratify risk of sudden cardiac arrest. Finally, a discussion of genetics, gene testing and family counseling rounds out the consultation. In general, the first visit will focus on understanding a patient’s unique presentation, while subsequent visits will assess sudden cardiac death risk and the extent of family involvement. At office consultations, Dr. Naidu is joined by at least one HCM Coordinator. Together, they will get to know each patient, so that a strong connection is formed between the patient and the HCM program. The HCM Program takes pride in coordinating care for patients visiting from distant states and foreign countries. After an initial phone or email communication with Dr. Naidu, our coordinators will work with the patient and referring physician on insurance authorization, obtaining outside records, travel arrangements, and sequential rapid testing on the day of the visit, including electrophysiologic monitoring, stress testing, echocardiography and cardiac MRI, followed by the comprehensive office consultation. According to Mallory O’Shea, LPN, HCM Coordinator, patients will be able to take all records back with them at the end of the day, including the consult note. Follow-up arrangements between their local cardiologist and the HCM program will be arranged so that the plan can be carried out. Echocardiography is one of the most important tests used to detect HCM. 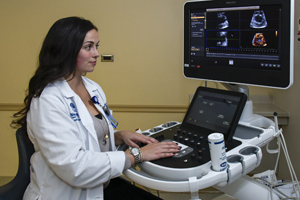 Under the direction of Tanya Dutta, MD, the Echocardiography laboratory employs non-invasive ultrasound technology to produce accurate assessments of the size of the heart, pattern of ventricular hypertrophy, contractile function – including diastolic dysfunction - evidence for outflow tract obstruction at rest or with provocation, and associated mitral regurgitation. Abnormal diastolic performance, as assessed by tissue-Doppler echocardiography, is typically seen in patients even when outflow tract obstruction is not present and is a cause of disabling symptoms in some patients. In addition, 3D-Echo and contrast (Definity) is now utilized to more fully characterize subtle anatomic abnormalities and follow wall thickness over time, especially when cardiac MRI is not possible. Working with Angelica Poniros, RCS, Clinical Manager of Noninvasive Services, we have developed a dedicated HCM protocol to provide consistent, high-quality and accurate measurements of HCM in our patients. In patients with complex sub-valvular anatomy – including possible disease of the mitral valve, papillary muscles, or chordal apparatus – and in patients with possible supra-valvular or sub-valvular obstruction, transesophageal echocardiogram is vital to ensure that the patient is properly treated. According to Tanya Dutta, MD, TEE can separate left ventricular outflow tract obstruction due to asymmetric hypertrophy from other forms of obstruction, resulting in significant changes to the patient’s treatment options. TEE also provides thorough evaluation of the aortic and mitral valves, helping determine the appropriate treatment for patients with HCM needing invasive therapies. Coupling the basic principles of magnetic resonance imaging with electrocardiography gating and rapid sequences, cardiac MRI can assess key functional and structural features of the cardiovascular system. 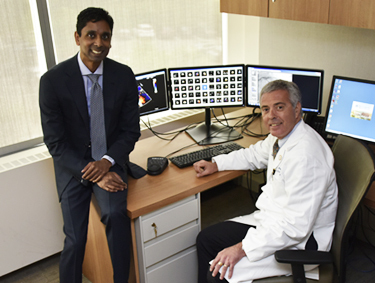 Under the direction of Anthon Fuisz, MD, Director of cardiac MRI, the technology – which displays the complete anatomy of the heart via high-resolution images – is the “gold standard” for evaluating diseases with regional heterogeneity, such as HCM. In addition, the gadolinium (contrast) enhanced images can detect intramyocardial scarring, a marker of significant disease, and the potential for arrhythmias that cause sudden cardiac death. Cardiac MRI is also exceptionally important when visualizing rare forms of the disease, such as an apical HCM, or to elucidate the presence or absence of thrombus in patients with end-stage “burnt out” HCM. Finally, MRI can often help better understand cardiac function, as well as rule out other mimickers of HCM – “look-alikes” that require different treatments. Functional status is often objectively tested using a standard treadmill test. According to Noemi Mercado, PA, who supervises these procedures, ETT is used to both determine a patient’s functional status and to determine their risk of sudden cardiac arrest on an annual basis. Serial ETTs can be used to evaluate for worsening function, and can guide the timing of invasive therapies such as alcohol septal ablation or surgical myectomy. In some patients, the ETT is combined with echocardiography to evaluate for the presence and severity of left ventricular outflow tract obstruction, and to determine response to invasive therapies or medications. Sudden cardiac death is the most devastating consequence of HCM. Therefore, it is vital to determine whether an individual with HCM is at risk for dangerous ventricular tachycardia or fibrillation. According to Sei Iwai, MD, Director of Electrophysiology, patients in the HCM Center undergo periodic observation with Holter and Event Monitors to watch for dangerous arrhythmias, or long-term internal loop recorders that last 3 years. 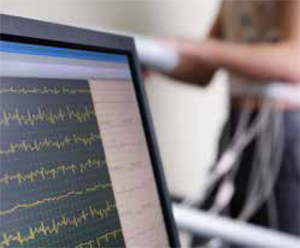 Although not needed in most patients, some HCM patients benefit from electrophysiologic studies to evaluate for ventricular tachycardia, supraventricular arrhythmias or conduction disease. Patients with atrial fibrillation often develop worsening heart failure symptoms and palpitations, and are at increased risk of stroke. In addition to blood thinners, patients may benefit from complex atrial fibrillation ablation, a minimally-invasive procedure. Patients at high risk of both stroke and bleeding may benefit from implantation of a left atrial appendage occlusion device. According to Sei Iwai, MD, Co-Director of the LAA Closure Program, such devices avoid the need for long-term anticoagulation. Pacemakers may be required when medications cause low heart rates, or when surgical myectomy or alcohol septal ablation cause conduction disease. In addition, older patients may benefit from pacemaker placement prior to contemplating more invasive procedures, as pacemakers have been shown to reduce outflow track gradients by themselves in a portion of patients. More recent advances include the leadless pacemaker, which may avoid long term infection risk. Used to treat very rapid heart rhythms that would otherwise cause the patient to pass out or arrest, ICDs are tiny devices, implanted permanently under the chest wall. The ICD monitors the heart’s rhythm, senses potentially lethal arrhythmias and either paces the rhythm back to normal or, if that fails, delivers a mild electric shock to restore normal heart rhythm. Patients with HCM undergo a yearly assessment of their risk for sudden death, triggering ICD implantation in those at highest risk. 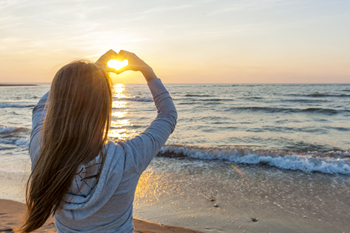 According to Jason Jacobson, MD, Director of Complex Arrhythmia Ablation, subcutaneous ICDs are also available and may be an option in young patients who wish to avoid long term potential complications of ICDs. Ablation Given the association with sudden cardiac death, some patients may be candidates for complex ventricular tachycardia ablation. According to Dr. Jacobson, patients with HCM may have severe arrhythmias despite medications, or that cause repeated ICD shocks, prompting ablation. In these cases, patients may benefit from ventricular assist devices to make the procedure safer. Genetic studies have identified HCM as a disease of the sarcomere, caused by mutations in any of 17 different genes. To date, over 500 individual mutations have been identified. Identification of genes for HCM has made preclinical diagnosis possible in families with a known mutation. Our extensive genetic testing and counseling services are available to symptomatic HCM patients and asymptomatic individuals with a known family history. 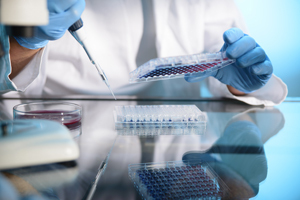 Genetic testing, which typically takes between two-to-six weeks through commercial companies, can lead to identification of at-risk-family members, who are currently asymptomatic and may have normal echocardiograms. Directed by David Kronn, MD, Geneticist, and Nandini Chandy, CGC, HCM Genetics Counselor, if a gene test is positive, the test can be used to determine if others in the family are at risk or not at risk of ever developing the disease, effectively reassuring half the family. Pedigree analysis and whole exome sequencing is also possible, according to John Fallon, MD, Chief of Pathology with expertise in cardiac pathology and cardiogenetics. Patients with HCM may suffer from anxiety or depression, a normal result of living with a chronic disease that may affect their lifestyle or risk of sudden death. Dedicated mental health services, including assessment and treatment, are available through assigned mental health experts with interest in HCM. Stephen Ferrando, MD, Chairman of Psychiatry, joins quarterly meetings and provides mental health consultations as needed or requested by patients. Diet and nutrition services are important to maintaining an ideal weight, so as to improve a patient’s quality of life and ability to live with their HCM. In addition, as HCM symptoms are susceptible to changes in fluid status and salt, diet services aid in reducing a patient’s risk of developing congestive heart failure or dizziness, or even syncope. For patients with significant symptoms of heart failure, chest pain or dizziness, especially when medications fail to adequately control symptoms, cardiac catheterization can aid in the assessment of heart failure and to rule out other diseases that may cause similar symptoms. Srihari S. Naidu, MD, Director of the HCM Program, performs cardiac catheterization to evaluate both the lungs and the heart, and oftentimes uses the information to change management while the patient is still on the table. In some cases, cardiac catheterization will lead to alcohol septal ablation or surgical myectomy, but oftentimes it leads to modification of medications to improve symptoms. Septal myectomy is a complex surgical procedure used when medication cannot relieve symptoms in patients with obstructive HCM. Our cardiothoracic surgeons Steven Lansman, MD, David Spielvogel, MD and Ramin Malekan, MD, use the technique to remove the portion of the septum obstructing the blood flow from the left ventricle. The thickened muscle is approached via the aortic valve. Once the thickness of the septum is reduced, the left ventricle outflow tract widens, filling pressure is reduced, and blood flow improves, dramatically alleviating symptoms. If mitral valve regurgitation persists due to intrinsic abnormality, the valve is repaired at the same time. Before leaving the operating room, a transesophageal echocardiogram confirms that all obstructing myocardium structures have been removed, and the mitral and aortic valves are working properly, predicting long-term success. Long the gold standard for treatment, surgical myectomy is particularly useful in younger patients and those with severe thickening. Alcohol septal ablation (ASA), a less invasive alternative to septal myectomy for patients who qualify anatomically and clinically, is offered only at a few hospitals nationwide. ASA is conducted in the Cardiac Catheterization Laboratory by Dr. Naidu. ASA involves injection of a small amount of alcohol directly into the bulge of the abnormally thickened septum and widening the outflow tract over the ensuing three-to-six months, leading to reduction in symptoms comparable to surgical myectomy. 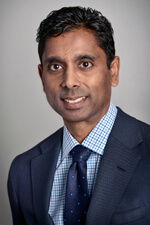 Dr. Naidu is the most experienced alcohol septal ablation operator in NY, NJ or CT, and is widely regarded as a leader in the technique. Alcohol septal ablation is preferred in older patients, those at higher risk for surgical myectomy, and patients with a strong desire to avoid open heart surgery after a balanced discussion. HCM in children and adolescents is a significant cardiac condition with serious concomitant health issues and a sometimes profound risk for premature death, especially among infants and competitive athletes. Frequently, children with HCM are asymptomatic, remaining undiagnosed for many years. For those suspected of suffering from the disease, due to family history or clinical symptoms, early diagnosis is critical. 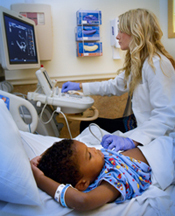 Diagnostic studies used for pediatric patients include echocardiograms, ECGs, cardiopulmonary testing and genetic screening. Symptomatic children typically present with chest pain and dyspnea. Lethargy, syncope, arrhythmias and palpitations are also common. Our pediatric cardiologist Christa Miliaresis, MD, works out of the Maria Fareri Children’s Hospital, physically connected to Westchester Heart and Vascular, and has extensive experience in sudden death in athletes and screening for cardiac conditions in pediatric patients. She prescribes beta blockers and calcium channel blockers when indicated, and recommends the placement of an ICD for secondary prevention after an episode of resuscitated sudden death or for patients with multiple risk factors. She is joined by Drs. Irfan Warsy, Supriya Jain, and Marise D’Souza, with expertise in electrophysiology, cardiac MRI and echocardiography in the pediatric population. Surgical myectomy is generally reserved for children who have failed medical therapy and remain severely symptomatic. Alcohol septal ablation is generally not performed on children. Although rare, patients who fail to respond to surgical myectomy or alcohol septal ablation, those who are not candidates for invasive therapies, those with non-obstructive HCM, and those with “burnt-out” end-stage HCM may benefit from heart transplantation. Alan Gass, MD, Medical Director of Heart Failure and Cardiac Transplantation, is an expert in the management of severe heart failure. He evaluates patients both before and after heart transplantation. As one of 4 heart transplant programs around New York City, Westchester’s program is one of the busiest programs in the region. Cardiopulmonary exercise testing is used to stratify the heart failure state in each patient. In some patients, ventricular assist devices, either temporary or permanent may be required to stabilize the patient prior to heart transplantation. Patient interaction may be helpful in sharing stories and, in particular, ways of coping with this chronic disease. 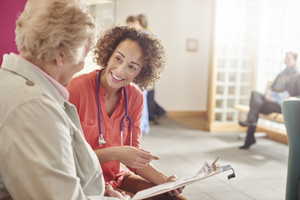 According to Rosemary Conlon, RN, Patient Liaison, patients of all ages participate in the patient discussion group, and help coordinate patient interaction and networking. Patients participate in the annual HCM symposium as panelists, and help coordinate community events and fundraisers. Offices in Westchester and Long Island provide for a regional catchment area of millions of patients from NY City, Upstate NY, Northern NJ, Western CT and Western MA. Our coordinators handle all HCM-related phone calls and get to know our patients, orchestrating care between our experts and their local physicians. The HCM email address and phone numbers, which allow texting, provide for easy bidirectional communication and faster service. Having performed hundreds of alcohol septal ablations, our program has contributed to the development of this technique nationally. 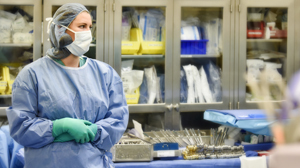 One of only a handful or programs with a full complement of services, including heart transplantation, advanced pediatric care, genetic testing, and both surgical myectomy and alcohol septal ablation, as well as other important services. Our coordinators assist with travel, insurance authorizations, acquisition of records, and scheduling of all testing, culminating in the office consultation, so as to minimize travel time for patients and families. The WMC HCM program is home base for the international textbook, Hypertrophic Cardiomyopathy, and has been visible nationally through lectures, the annual live alcohol septal ablation course, and as a co-author on the national HCM guidelines. 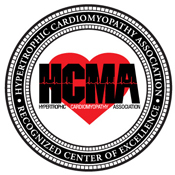 Symposia for both patients and physicians help educate our community about HCM and the merits of a comprehensive approach to diagnosis and management. 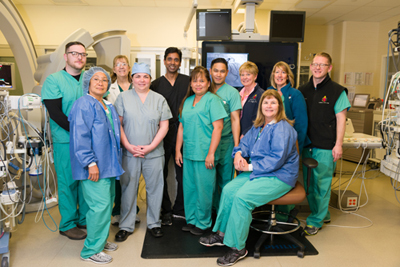 Initially established in 2004 by Dr. Naidu, the program now has over 10 years of experience seeing and following patients and families with HCM, allowing the program to have experience with the variety of patient presentations and outcomes. Available only at large HCM programs, new drugs can help patients live better with their disease, while research trials contribute to the national knowledge base on HCM.